With floor-to-ceiling windows framing a jaw-dropping view of Golden Gate Bridge and the Bay, the Golden Gate Club is the perfect blank canvas to stage events. 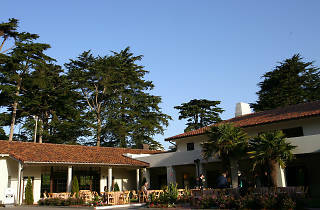 Part of the sprawling Presidio Trust, the charmingly spartan Golden Gate Club has hosted an untold number of swanky events over the years. 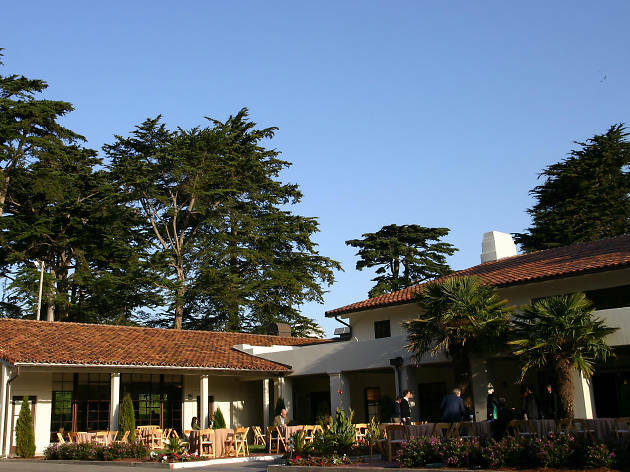 Once an enlisted men’s service club and the site of several historic treaty signings, its stripped down interiors compose a blank canvas for staging private parties and fundraisers, with floor-to-ceiling windows framing a jaw-dropping view of Golden Gate Bridge and the Bay.